My favorite way to discover Scotland’s outstanding countryside and attractions is by car, you have the freedom to stop when you want to, and the choice to divert to any interests you see when travelling on Scotland’s roads. It’s a feeling of freedom knowing you can change your plan whenever you see a brown tourist sign highlighting a place of special interest. 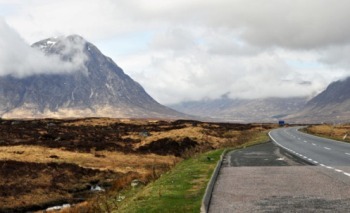 But travelling by car when on Holiday in Scotland needs some planning, so with my experience of travelling Scotland by car I have listed some helpful tips to help you on your way. Over the years I have carefully planned my route and set an estimated time of arrival to my destination, but this never seems to happen due to the many stops I take when seeing great photo opportunities or new places of interest I have not visited before. No matter how many times you have traveled along the A82 or the A9 the scene is always different, and being a lover of Photography I cant help stopping to capture that perfect picture that come to view when you turn the next corner. But do be careful when stopping on Scotland’s roads, be aware of the traffic behind you and ensure you stop in a safe place or lay-by, stopping in an instance just because you seen some wildlife or a perfect photo opportunity can be a danger to yourself and other road users. I was never a great fan of using a Sat Nav till I was given one as a gift, but the great information you can receive from one is worth every penny, Most Sat Navs have information and places of interest installed into the memory, and this can be a great tool to decide on your next destination when looking for new places to visit in Scotland, I have found many places of interest from my Sat Nav that are not sign posted on any roads, it’s also a great tool if you need a shop or petrol station during your visit. But always ensure your device has been updated to the latest maps and information, I for one don’t always rely on the Sat Nav for my journey but find it a vital part of my kit when visiting Scotland’s remotest areas. Some people could have a long journey in Scotland and it’s a good idea to ensure you have something to eat or drink when on your journey. When travelling by motorway most service stations can be very expensive, and take advantage of the thirsty or hungry motorist, stock up with some simple snacks and drinks for short stops during your journey, it is also useful to have some easy to grab sweets to keep your hunger at bay till your next stop. When travelling through small villages and towns in Scotland please make use of the local stores to top up your supplies. These small shops need the business and are very friendly and helpful; most will also provide a hot drink to have during your travels. Some cars are lucky to have inbuilt entertainment like DVD players and game consoles, If you don’t have these you can now purchase portable DVD players at a very reasonable price, I have found these a vital part of travelling with children over the years and they have provided many peaceful hours on the road keeping the children occupied watching films and cartoons. If you prefer something more traditional stock up on drawing books, comics or small games to keep the kids busy during any long trip. Keeping the children occupied in other ways are great fun, create games using the outside world like eye spy and other memory games. To make your journey more enjoyable plan stops of interest. There are many places to visit in Scotland on route to your destination, plan short stops along the way to places like popular Lochs and historical sites, make sure these are quick and easy places to view as doing full tours of places will eat up valuable travel time. The best kind of stops are great views for picnics or loch side lay-bys to take in the fresh air and to rest tired eyes, try and time these stops for lunch time so that you can take in a nice view whilst eating your lunch. If you are driving to Scotland with pets take these opportunities to exercise your dog. There is nothing more annoying than realising something you need during a planned stop is packed right at the back of your car boot, place all the things you need like food, coats, drinks and other essentials within easy access so that you don’t have to empty all your belongings on the roadside or car park. Also remember to not place any items blocking your view from the rear view mirror, and ensure everything is strapped in securely before you leave home. 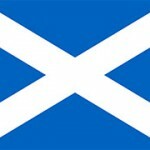 If you are staying in rented accommodation like a Cottage or have a hotel booked, remember at most accommodations you can’t enter the premises usually till afternoon time, this is due to the owners having to clean and prepare your cottage after the previous guests have left, this is the most case for many properties in Scotland. Ensure you know the allowed time of arrival beforehand and also let the owner know if you are going to be arriving at a later time. What I tend to do if I am early is go to the local store or Supermarket and purchase essentials like bread and milk, I always do this at my destination so that I am not carrying extra weight in the car and to make sure they are fresh. Before setting off on a journey to visit an attraction in Scotland like a castle or historical site, always make sure that you check the opening and closing times. Some attractions close during the winter months or close early during some parts of the year. Visit the attractions website or take a trip to the local tourist information and pick up a leaflet, this will give you all the information you need regarding opening hours. When I have visited certain beauty spots or popular picnic locations I have noticed many times the litter left by previous cars. If the bins are full or none available it’s always a good idea to take some empty bags with you to place any litter you may accrue during your travels. Also have a bag available in the front of the car to place any empty drink cans or bottles during your journey; this is to save any loose rubbish messing up your car’s interior. Remember respect the needs of local people and visitors and leave the place the way you found it. We can all probably add more tips to this list and it would be interesting to hear other people tips as well, please comment below if you can add to this list. One of the most important things I have not added to the above list is something we should all know anyway, and that’s to please check your Car for Fuel, Tyres, Water and Oil, but most importantly please drive with care. Very sensible tips. Thank you! One important thing I´ve learned during my many visits to (my home country) Scotland, is that if you´re travelling by car to remote parts of the country, that you should ensure that the fueltank is well filled, as not every small town or village has a petrol station.